The Frade field is located 370km from the coast of Rio de Janeiro in the Northern Campos Basin, Brazil. The heavy oil and gas field lies at a water depth of 1,128m. The field is operating 11 production and four water injection wells. 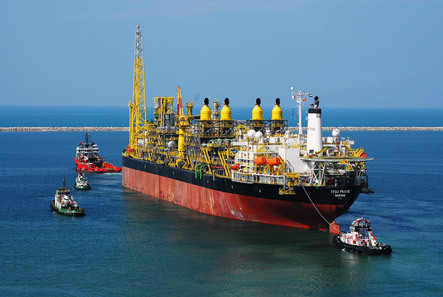 Oil is produced through the Frade FPSO which is moored by an internal turret and located at a water depth of 1,080m. The oil is stored and transported onshore by crude oil tankers. 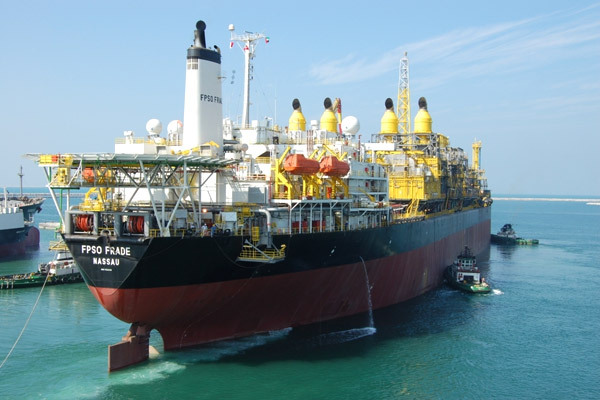 FPSO Frade can accommodate 33 risers and has an oil production capacity of 100,000bopd. 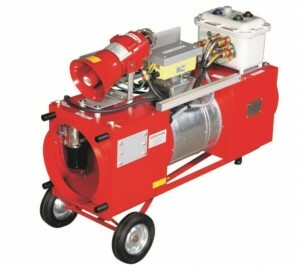 Gas compression capacity of the vessel is 106MMcf/d and water injection capacity is 150,000bwpd. It has a storage capacity of 1,550,000bbls and weighs 273,576DWT. 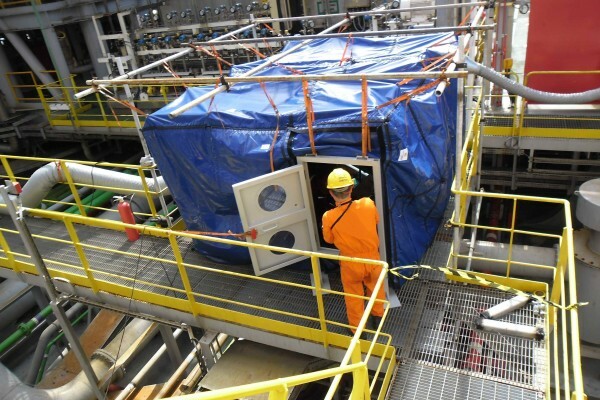 As part of a requirement from the Brazilian National Petroleum Agency (ANP), the operator had to install two new skids over existing modules in the middle of the Frade FPSO. The project involved multiple hot work applications including welding and grinding, for the installation of these new structures on top of the existing one. The project plan was to deliver the installation in three phases. The first phase of the project was to install a longitudinal reinforcement beam, so that the modules would have the appropriate strength to withstand the extra load from the new skids. The second and third phases were the installation of the skids. The workscope required the delivery of two habitats, which were then re-built onboard 27 times. This ensured maximum efficiency all round, and safe enclosure of the hazardous work as required for completion of the hot work. During phases two and three, the SAFEHOUSE habitats had to be built as quickly as possible, with the skid suspended by the crane, to enable a weld point to hold it in place after the crane release. Then the remaining welding work could be completed. The SAFEHOUSE habitats were operated simultaneously, embracing the legs of the new skids. The gas sensing modules were located on the main deck. The project was completed as planned with our technicians onboard a total of 43 days. As a result, we delivered 640 safe man hours with all hot work completed safely with production continuing as usual and no need for shutdown.